A great summer shoe that is super comfortable and looks great! The thong is made of soft nylon and is therefore resistant to abrasion. Upper - water resistant plastic strap with soft, quick-drying jersey lining and neoprene. 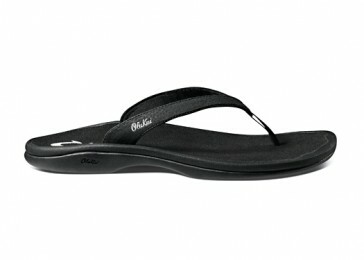 Footbed - Anatomical, compression-molded EVA midsole with a non-slip footbed for comfort and support. Outsole - Non marking rubber outsole for grip on wet surfaces.